1. 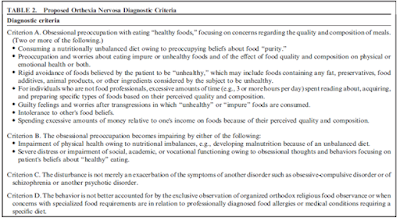 Compulsive behavior and/or mental preoccupation regarding affirmative and restrictive dietary practices believed by the individual to promote optimum health. 2. 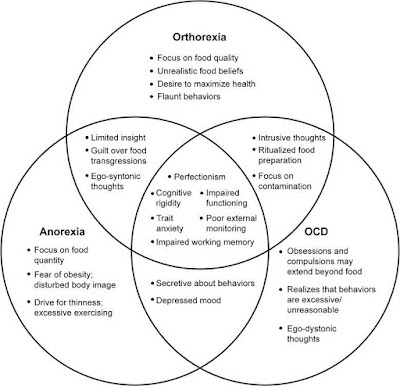 Violation of self-imposed dietary rules causes exaggerated fear of disease, sense of personal impurity and/or negative physical sensations, accompanied by anxiety and shame. 3. Dietary restrictions escalate over time, and may come to include elimination of entire food groups and involve progressively more frequent and/or severe “cleanses” (partial fasts) regarded as purifying or detoxifying. This escalation commonly leads to weight loss, but the desire to lose weight is absent, hidden or subordinated to ideation about healthy eating. 1. Malnutrition, severe weight loss or other medical complications from restricted diet. 2. 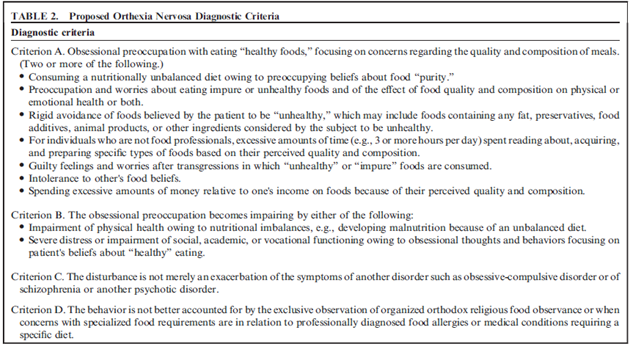 Intrapersonal distress or impairment of social, academic or vocational functioning secondary to beliefs or behaviors about healthy diet. 3. 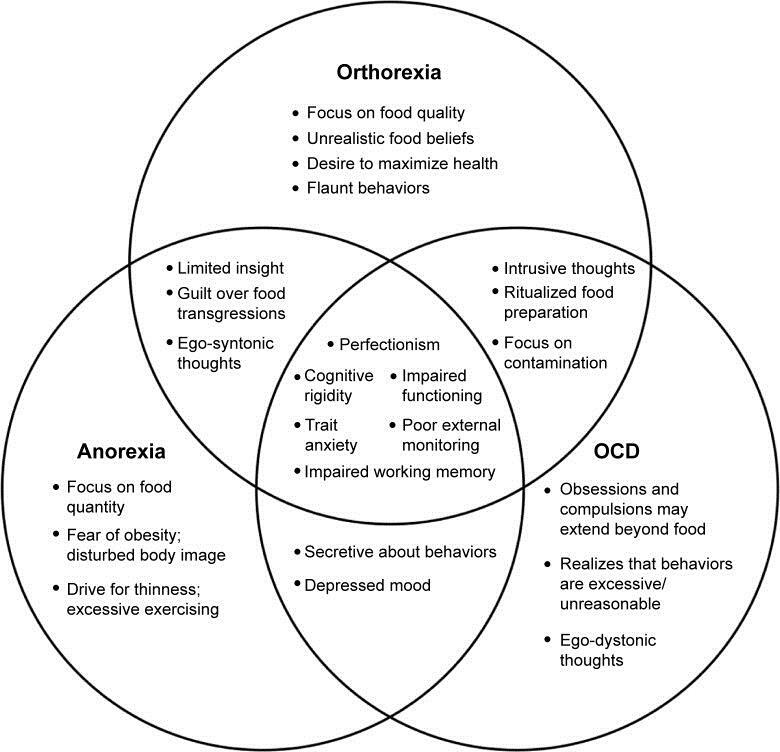 Positive body image, self-worth, identity and/or satisfaction excessively dependent on compliance with self-defined “healthy” eating behavior.